The Temperature and Humidity Station with 3 Indoor Sensors includes a color-coded 4-zone digital display, and three (3) Indoor Room Sensors. 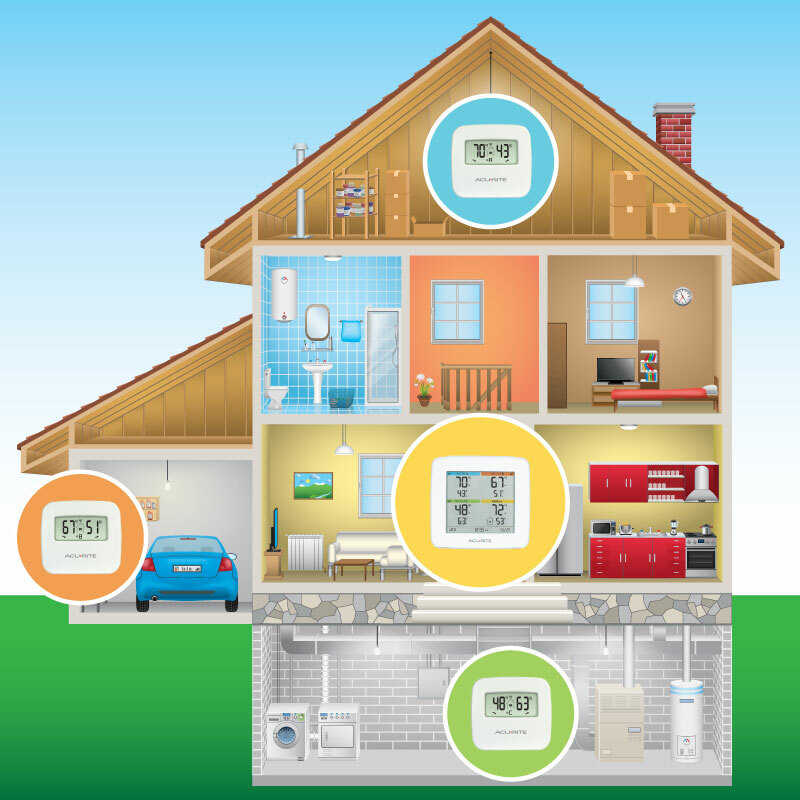 This system features the ability to measure temperature and humidity in four separate indoor areas. And excellent digital thermometer humidity gauge, it lets you view at-a-glance information to keep your family comfortable, while protecting your residence and its valuable contents.